Has Hotaru gone back to her dad in Stars? 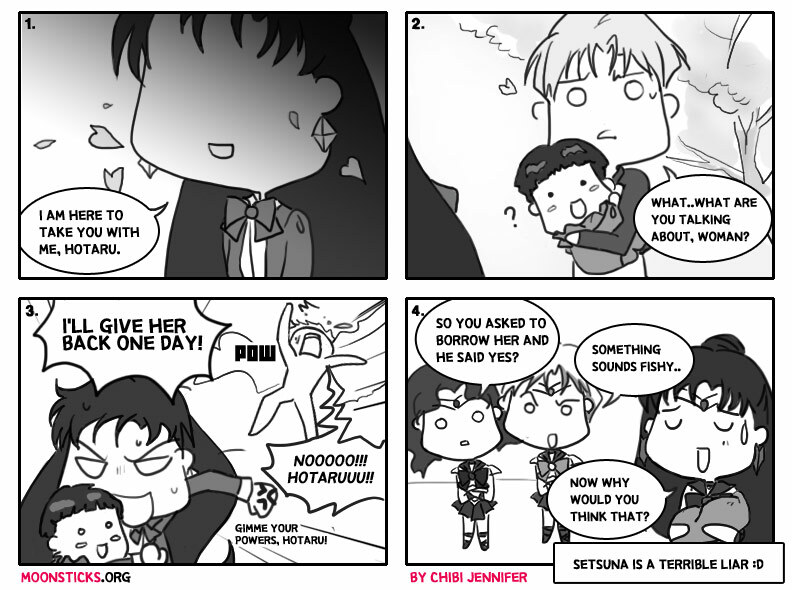 In Sailor stars anime, at the beggining of the episode, Setsuna takes away Hotaru from her dad, and keeps her to Outer Senshi's home. And Hotaru returns her old memory, after she meets herself, Sailor Saturn. And after Nehelenia purifies, we don't see her as either Sailor Senshi, or normal look after that, until finale. 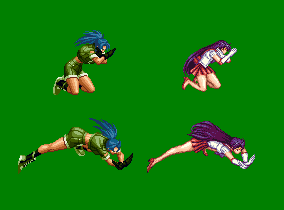 So, since Pluto also fights often with other Sailor senshi, I think it is possible that she went back to her dad. 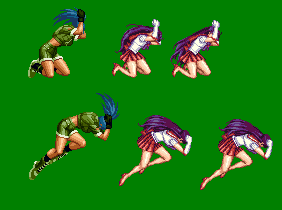 Since it would make Setsuna crazy if she will keep her in other house (outer senshi house) after Nehelenia purifies, because there's no such person who takes somebody's daughter in front of them, and never bring her back. Hotaru has no issues with the Outer they only tried to kill her because they thought she would bring the Silence. In Sailor Stars Hotaru has a warm relationship with Haruka, Michiru and Setsuna. I wasn't shown whether Hotaru moved back in with her dad or not. Really aside from the Nehellenia arc and the finale of Sailor Stars pretty much nothing was done with Hotaru in her story and even the other three Outers were barely in it, instead we had the Starlights taking their place when the Starlights were supposed to be minor characters in the manga and the Outers were supposed to be main characters like the Inners. In my fic atleast I had Haruka, Michiru and Setsuna post Sailor Stars all move in with Hotaru and her father and help Professor Tomoe raise Hotaru. I also had that Setsuna begins to grow close to Professor Tomoe and the two eventually begin a relationship with Setsuna becoming Hotaru's stepmom. Why, that would makes sense. Maybe I was little too underrated Outer Senshi? And it would be cool if Setsuna and Tomoe both takes care of Hotaru. All the information we actually have is (unless there's some guidebook or interview that explains it... maybe TuxedoUnmasked can solve this mystery with obscure research? ), Professor Tomoe survived the destruction of Mugen Academy but gained some degree of amnesia about the events (and seems to have stopped wearing glasses; perhaps he has a subconscious phobia keeping him from getting new ones?). He was wheelchair bound at the end of S but this is no longer the case in Stars. Setsuna shows up and says something vague to him, and then... we have no idea what happened to him next. What we do see is Hotaru living with the three Outers somewhere (I don't think it was Tomoe's house? I could check the set design since we did see both, but, I'm pretty sure it wasn't) as she matures, having various visions, including memories of her dad dive-tackling her out of the way of an explosion (I'm not 100% sure when this is meant to take place since in the flashback in S it appeared that he wasn't there to protect her in the lab explosion, but, it's a cool scene regardless). At the same time, she's started saying Haruka-papa and Michiru-mama, so... it almost seems like they just adopted her. 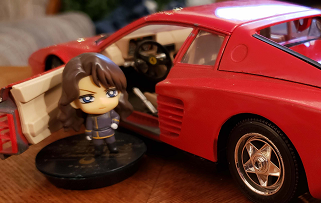 Every time after that, she seems to appear alongside them, well after the Nehelennia arc is over, and in the finale she's hanging out with them by the car talking about the shooting star. - 1. - Maybe Sailor Pluto thought it was too dangerous to continue leaving Hotaru in the Professor's care until they figured out what they were up against, in case he got possessed again. She might've just abducted the baby with no explanation, or she might've told him something, but really, how often does Sailor Pluto really explain things to people? I'm still not even sure if Haruka and Michiru knew Usagi was Princess Serenity / to become Neo Queen Serenity during S, since they seem to respect "Small Lady" but have zero respect for Usagi until after the Mugen Academy ordeal is over (and their respect for her decisions is still horribly limited as we see when they attack the Starlights... honestly, this is the kind of stuff that causes civil wars in monarchies, they're basically treasonous, but enough about that). - 4. - Maybe Hotaru spent the Nehelennia arc living with the outers, then moved back in with her father during the Shadow Galactica arc and just happens to never mention it and has to meet up with the other Outers separately. Also mysterious is that Pluto seems totally caught off-guard by meeting the Sailor Starlights, like she doesn't know about them. So I guess there's some sort of timeline weirdness connected to their presence? She also doesn't seem to know what's going on with ChibiChibi, which suggests Galaxia's entire history may be beyond the scope of Pluto's 30th century memories... so spacetime sounds like a confusing mess. As far as Setsuna and the Professor taking care of Hotaru together, that is an interesting idea. I read part of a long fanfiction (which I want to finish eventually since it's interesting, but it's a bit garrulous (like me) in parts/very high word count) called Sailor Moon Z, where they became a couple. In my personal and silly fanon blasted the poor doctor's face. It's never said either way, but I like to think that she did go back to living with her father. Saturn definitely could have been utilized more in StarS. Yes, she played a huge role innthe second half of S as Hotaru, but StarS could have been the arc to feature more of her Sailor Senshi identity. Instead, she appears in the first few episodes and last few episodes. The Outers in general didn't get enough screentime, but Saturn was definitely given the short end of the stick. Not a single on-screen transformation or proper attack animation. It's just sad really. she's started saying Haruka-papa and Michiru-mama, so... it almost seems like they just adopted her. First of all as I mentioned they only tried to kill her because they thought that she would bring the silence. They didn't want to but thought it was necessary also the Outers were shown in the Nehellenia arc to have an affectionate and warm relationship with Hotaru so Hotaru dosen't hold it against them anymore then say how the Outers hold it against Usagi for giving Mistress 9 the holy grail and initiating the silence. I think you are being too hard on the Outers. I tend to think of the anime versions of Haruka and Michiru as sympathetic but troubled characters who tend to jump the gun on making some terrible decisions. They get very gung-ho about what they think they "need" to do without much respect for anyone else, or the premise of diplomacy itself. They're fighting too hard because they genuinely think they need to, and at some point that crosses the line. I do agree that the familial connection makes a lot more sense in the manga (and I do like the basic premise of it, since they can make a cute family). But in the anime, they get off to a bad start, suddenly awkwardly get along, and then they utterly ruin any sense of trust again in the last couple episodes, all leaving that nagging question of where her dad is. They seem to have somewhat made amends in the final scene, but, it's still an awkward situation all around. Interesting, and I do like all the characters involved, but still, awkward. Again I don't agree at all that Haruka and Michiru are sympathetic villains as they were on the right side trying to prevent the silence and really there was no information available at the time that not sacrificing talisman holders could prevent the silence. Likewise they are not like Saphir as Saphir was part of an enemy organization at worst Haruka and Michiru are anti heroes. Also really I don't get how people think that the Outers were some how better in the manga as they still wanted to kill Hotaru when they realized she was Sailor Saturn and Mistress 9 and even attacked the Inners for not agreeing with them. Also in Sailor Stars they do not awkwardly get along Hotaru seems like she genuinely likes Haruka, Michiru and Setsuna and have no issues with them. As for when Sailor Uranus and Sailor Neptune betrayed them honestly I think there is probably good evidence that Sailor Pluto and Sailor Saturn knew about the plan and only feigned feelings of betrayal when they were killed. Because at the end of Sailor Stars we see them all together and Hotaru and Setsuna seem like they have no issues with Haruka and Michiru. My headcanon is that Pluto went to Tomoe, explained the situation to him and Hotaru's power (and/or gave him his memories back) and with a heavy heart he let her take baby Hotaru, temporarily, for the sake of humankind. After the crisis with Nehellenia was resolved, she went back to her dad's. Pretty much this. After the Nehellenia arc, there was little reason for her to not go back to living with her dad. I refuse to believe any other explanation as to how it happened.